The value of one cool woman with a beautiful smile is hard to calculate. Our admirable mother, our supportive sister, our championing grandmother and our friend-for-life is absent from the body, and face-to-face with the Lord. 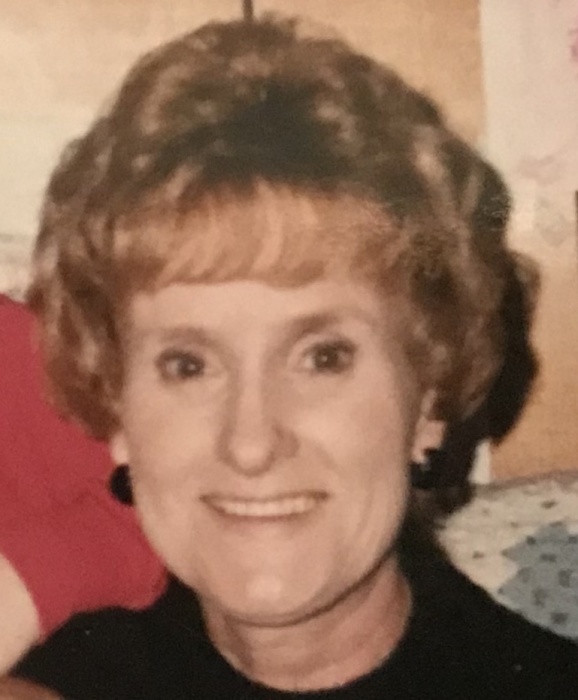 Ann Purlee, age 81, of Alexis and Galesburg, died peacefully at 1:56 A.M., Monday, Sept. 10 at her home under the care of her sons, daughter, and daughters-in-law, by the grace of God. Ann was the only daughter of Joseph and Josephine (Lovitt) Lavender, born May 9, 1937 in Monmouth, Illinois, and raised by her parents in Galesburg with her five brothers, graduating from GHS in 1955. "Annie" worked at the Monmouth Review Atlas after high school until she married Dudley Purlee of Alexis, Feb. 1, 1959, at the First Baptist Church in Galesburg. While raising her children and homemaking, Ann worked at Olson's Grain in North Henderson, co-owned and operated The Consignment Shoppe on Seminary Street, and later, worked at Knox Laundry and J.C. Penney's in Galesburg. She bowled on Wednesday nights at Northgate for years, sang with the Sweet Adelines singing group, served as an election judge and treasurer of her Class Reunion committee. Ann graduated with an A.A.S. from Carl Sandburg College in 1984 as Outstanding Secretarial Student. A year after her dear husband Dudley passed in January 1999, Ann moved from her farmhouse north of Alexis back to Galesburg. She loved popular music and was a sports fan, cheering us all on and applauding at scores of performances over the years. She attended the Presbyterian Churches in Alexis and later, Galesburg. Wise, encouraging, independent, funny, sweet, lively, steadfast, stylish, and spiritual, Ann aimed high. She was a peach, and priceless beyond measure to her family, friends and neighbors. We can now console our hearts with the countless cards, notes, photos and inscribed books she gave us, and try to help each other now in her honor, in her place. Ann was preceded in death by her parents and mother and father-in-law, Evelyn and Robert V. Purlee, her brothers Wilbur (Marie), Eldon (Brenda), and Jim (Mary Jo), her sister-in-law Audrey, and her infant sister, Betty. She is survived by her brothers Don and Russell "Dean" Lavender, her brothers- and sisters-in law, John (Rosemary) of Corvallis, Montana; Jim (Sue), and Joe (Penny) Purlee; Judy (Dave) McCrery, and Marilyn Smith of Mason City, IA; her daughter Tracey, and sons, Robert (Kathleen), Fort Wayne, IN, and Sam (Lisa), Alexis; her grandchildren Rory Parilac, Aubrey and Molly Rose, Joe and Abi Winbigler; Lauren, Mitch and Grant Purlee, and Corey (Amber), Sarah, Naomi, and Rachel Purlee; her two great-grandsons, Dillon Purlee and Dominic Purlee Garrett, and many loved neices, nephews, and cousins. Visitation will be 4:00-7:00 PM Sunday, Sept. 16 at Wise Memorial Hall in Alexis, and services, at 10:00 AM Monday, Sept. 17, the Alexis United Presbyterian Church. Internment in Alexis Cemetary will be private at a later time. Memorials may be made to the Pancreatic Cancer Action Network (checks written PanCAN). Please sign the online guestbook at www.wisefamilyfuneralhome@gmail.com. Wise Family Funeral Home is in charge of the arrangements.